“As I went through the ‘aquaculturewithoutfrontiers.org‘ website, I was delighted to see all valuable articles on aquaculture world in it,” was a comment we received totally out of the blue and, as a result of this, we now have a new person who is going to volunteer to add his skills to AwF. This is the benefit of an active website for sure. This was an early success from the recently concluded Swinburne University of Technology Undergraduate Capstone Project ‘AwF Communications Infrastructure Improvement Project’. We are very grateful to the team consisting of Aaron Lim, Alistair Woodward, Jericho Mendoza (Team Leader) and Yujia Wang and supervised by Andrew Forbes, who got involved in this task. Of course, we are thankful for all the original work on the website by people like George McKee and the constant management and technical support given by Aquacom Group (Dave Conley and Tor-Eddie Fossbakk). Dave was the catalyst for getting the website happening in the beginning but we all agreed we needed a more modern look and a website which met criteria for good mobile phone connectivity. Dave and Tor-Eddie will continue in their very important roles. We are delighted that Yujia Wang has offered to continue his involvement with AwF as a volunteer, so our website should continue to flourish. 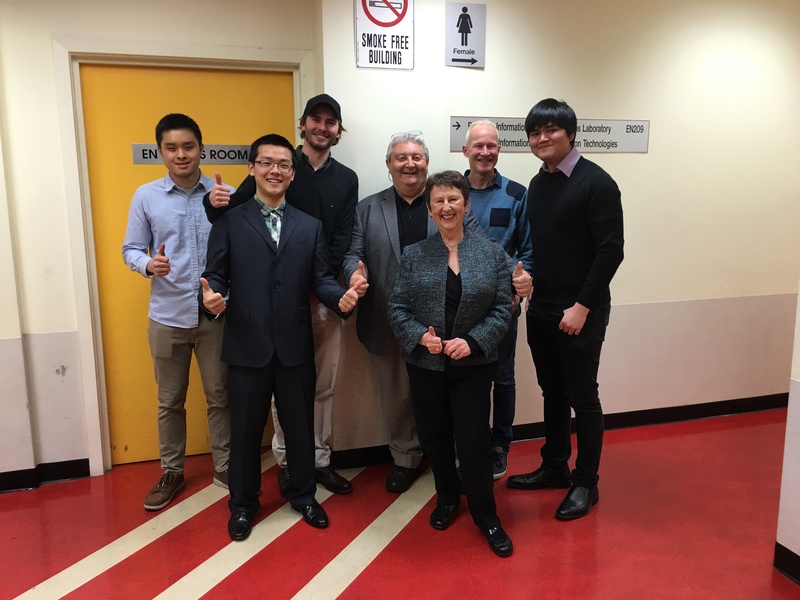 The solutions that our Swinburne team came up with can be categorised into both technical and business. The technical solutions included the major website design upgrade, a new donation payment gateway, specific forms, and implementing Google Analytics; while solutions such as a marketing plan, new Facebook company page, Facebook Insights, and Google One Today actions will tackle the business aspects of the challenges. To assist us in effectively utilising the technical solutions, the team has provided a user documentation manual and a marketing plan which is strongly linked to social media activities. The website has been completely overhauled, providing a more visually stimulating theme as well as a simpler navigation experience. The sitemap has been reworked so that the navigation bar has fewer main headings, which will make it quicker and easier for visitors to find what they are looking for. The theme is also dynamic and compatible with mobile devices, changing to suit the device on which it is being viewed. Social media buttons have been placed to clearly link all the media. Well what do you think? We would be keen to hear from you about our ‘new’ look.